The concept of “cute and small” is such a common theme in Japan that it is well defined in the coined Japanese word “chibi“. The princesses themselves have become a part of this trend and have been transformed into a much more simple, tiny, and glassy manner. 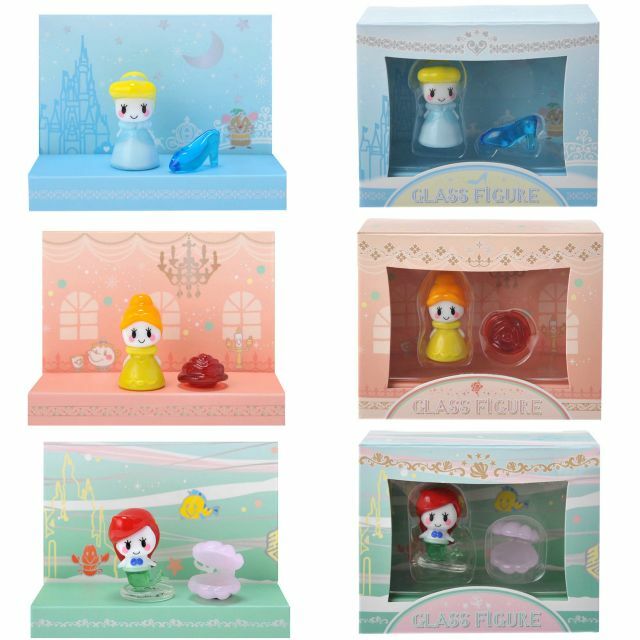 Exclusively sold at the Disney Store, the princesses have been captured as miniature glass figurines and paired with a symbolic decorative emblem. 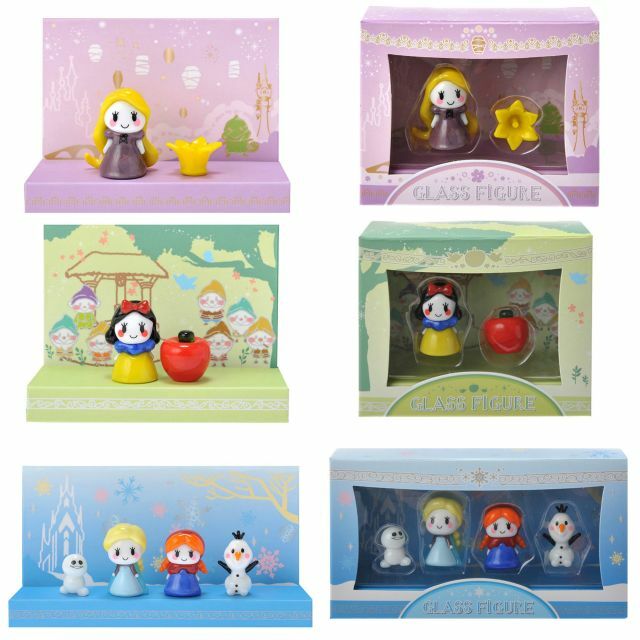 The inner graphics of the box can be conveniently used as a stage display for the figurine set. A glass pair starts at 1296 yen, 4-piece set at 2592 yen, and the 5-piece Alice in Wonderland set at 3240 yen. Cinderella and her glass slipper, Belle and her rose, and Ariel and her pink clam shell. Rapunzel and her magical flower, Snow White and her apple, Elsa and Anna with a snowgie and Olaf. The latest release features a stunning 5-piece set in Alice, the Queen of Hearts, Flamingo, Hedgehog, and a Card of Hearts Soldier. Images and merchandise © Disney Store.